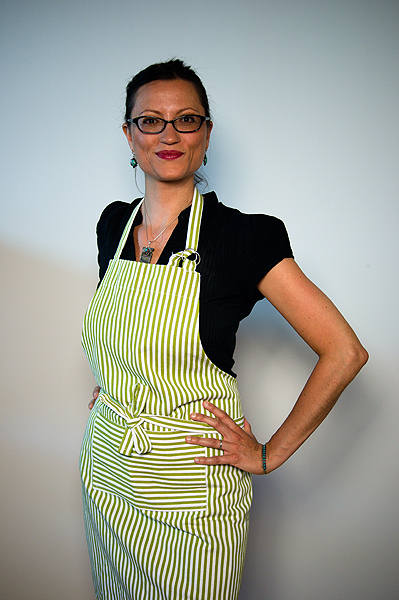 As a Natural Foods Chef and Educator, I enjoy working with individuals and families who want to make the switch from the Standard American Diet to one that is health-supportive and built on whole, plant-based ingredients. I offer a range of services, each tailored to the specific needs of the client. My goal is to make home cooking and navigating our food landscape as easy as possible through individual, hands-on instruction. I aim to demystify what it means to truly “eat healthy” in a simple, fun way. Here’s a secret: I wasn’t raised healthy. Quite the contrary, I’m a born-again health nut and became interested in health and wellness through my own health problems. I grew up in a large, urban family and ate TV dinners, soda, cheesesteaks and fast food. For as long as I can remember I’ve always had a sensitive digestive system, but years of abusing my body finally started to take its toll. It wasn’t until my late 20’s that I started to feel burned out and realized that something had to change. I wasn’t finding any relief by following my doctor’s advice and taking prescription medication; In fact, I felt worse. It wasn’t until I took my health into my own hands that I started to feel better and restore my body to its natural state of wellbeing. Along with upgrading my diet came lifestyle adjustments. I started taking care of myself and making positive choices in my life, something that was completely foreign to me. In 2008, I made a major career change and took a chance that transformed my life forever and became a Health Coach. Through self-introspection, research and my experiences at the Institute for Integrative Nutrition (IIN), I discovered my ideal way of eating and living healthy. In 2011, I expanded my knowledge of whole foods cooking and enrolled in the Chef’s Training Program at the Natural Gourmet Institute (NGI) in New York City. IIN and NGI both follow a holistic approach to health and teach that “food is medicine”. Throughout all of my studies, I have learned to find a natural path to health and consider all ends of the spectrum when it comes to nutritionism. As a Natural Foods Chef and Educator, I assess each client’s needs on an individual basis and try to meet him or her where he/she is. I believe that “healthy” is a journey, not a destination, and is defined differently by each of us; your ideal diet may be the complete opposite of what is health-supportive for someone else. I do not promote any one way of eating, but instead stress the importance of fresh, whole, unprocessed, balanced foods. My focused yet easy-going approach helps my clients to make step-by-step, effective and long-lasting changes to their ways of eating while feeling supported, confident and guilt-free. To schedule a complimentary consultation or request more information, please use the contact form below.